Do you remember when you first started reading (without the help of your folks!)? Hmm I remember coming home with reading books and filling my green card board bookmarks up so quickly with all the different books I’d read that the teacher mentioned it and embarrassed me in class! I always read to my mum, and when we visited (her parents) my Nanna & Grandad used to listen to me read too. My Nanna thought it really important to read well as she didn’t read so well herself so really encouraged me and loved listening to me reading out loud to her. I loved the Enid Blyton such as The Famous Five, and prior to that my favourite books were the Milly Molly Mandy series by Joyce Lankester Brisley. What is your favourite genre? What is it about this genre that appeals to you so much? I love the Dystopian/Post Apocalyptic genre. I love the escapism and the battle for survival against all odds aspect. What's your favourite book that made it to the big screen? I’d have to go with Twlight by Stephenie Meyer and the Twilight film, she seemed to have a lot of control over casting and important decisions too. Though I would have to say that so far I have always preferred the books to the movies, for example Beautiful Creatures. Name the last three books you read. Did you enjoy them? The Farm by Emily McKay, Eternity by Mary Ting and Not A Drop To Drink by Mindy McGinnis and I loved them all. I had totally fallen in love with the Crossroads saga by Mary Ting when she took part in my first ever giveaway on my blog. I’d bought The Farm by Emily McKay for my daughter Rachel and decided to read it too. Then Not a Drop To Drink by Mindy McGinnis I was given by Edelweiss. Who is your favourite author(s)? 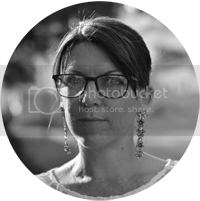 Well the Author that set me on the whole blogging thing was Patti Roberts and she has introduced me to some fantastic Indie Authors such as yourself, Samantha Towle, Mary Ting, Jayde Scott and Emerald Barnes. Then through blogging I have become Facebook friends and spoken to Jana Oliver her Demon Trappers Series is brilliant! I also recently read Briar Rose and loved that too even though I normally shy away from fairy tale re-tellings. I have some signed swag from Jana that I treasure! I also won a signed Jessica McClain Series book by Amanda Carlson and have a gorgeous signed hardback of Splintered by A.G. Howard, Ooo and I have a signed copy of Escape from Eden by Elisa Nader (yet to read). . . and I have the last Healing Crystal book signed by Michele Poague (yet to read) aaand a signed Eden’s Root last in the series signed by Rachel Fisher. Having said aaaalll that I value anything signed by the authors I “work” with and am always, always grateful to authors that gift me their books and get upset when I can’t read them all faster! What book couldn't you live without? Mmm thats a hard one as I really don’t normally re-read books but I have saved Jana Oliver’s Demon Trapper’s series to read again at some point when I have time. I also have read (prior to becoming a blogger) The Island by Victoria Hislop and loved it. Sorry to everyone I don’t mention and it’s mean asking me to choose one, Suzy! I’d have to say for all the promoting she does for others as well as her own books, Patti Roberts. Do you judge a book by it's cover? Yes, I do. It’s like you judge a person by their first impression on you. A book's first impression is it’s cover. If a cover stands out enough for me to pick it up from a shelf and look at the blurb it’s halfway to being bought! How do you choose your next book? I have to see what blog tours I have booked and read the books I have agreed to review for those first. I have a little book (that happens to be a little black one lol!) that I note my blog tour reads in, then I have a section of would like to read this month. I have pages written out in the book into next year already! What kind of book would you like to read that you haven't seen yet? For example, a dystopian chick lit or sci-fi romantic drama? I don’t really know, maybe a dystopian with shifters in it? What irritates you when reading a book? On my kindle it’s when the kindle refuses to turn to the next page or when it needs charging just at a crucial part of the book plot. When reading a physical book when I can’t find a bookmark . . . . I hate the habit of turning pages/dogearing pages. That would have to be curled up in bed! In the movie of your life, who would play you? Oooo what a question, a tough one really . . . . off the top of my head, and not that I look like her or anything . . . Ashley Greene (plays Alice in Twilight) as she seems a really nice person and I’d like to think I give out nice person vibes too! Shopaholic or shopadon't? Shopadon’t, I hate crowded places as they set off my Menieres disease so tend to shop online via my laptop when I have to. Sky high heels or closer to the ground? Used to be sky high heels when I was younger even when standing hairdressing! But now I’m older and the health problems it sadly has to be closer to the ground. E.L. James or Jilly Cooper? Truthfully, neither. I love more plot than heat & sizzle! Cry baby or tough cookie? A mixture of both, I can cry at a film or even a book but when I had to be hard during my divorce, and leaving material things behind as there was not room for them at my parents where I fled I think I was quite a tough cookie! Thankyou for inviting me to do this Interview I really enjoyed it, I just hope I haven’t rambled too much for you! Introduction My name is Sandra Jean Richardson, I am 42 years old and am a full time carer to my mother who lives with me. I am a divorced mother of one 17 year old daughter. Both my mother and daughter love reading as much as me too! I started blogging in August 2011. I have always loved books, if a cover catches my eye and the blurb holds my attention I’ll give reading it a go! Interests Reading, reviewing and blogging about it. Favourite Films Twlight, Harry Potter and Juno (probably my daughters influence!) Also Rabbit Proof Fence, and Hunger Games. Favourite Books Too many to mention them all! Eden’s Root Trilogy, Demon Trappers Series, The Healing Crystal Trilogy, The Praxos Academy and many many more that I love and am yet to discover.